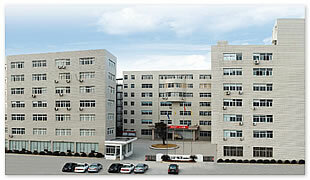 Established in 1998, QianWei Electric Co.,Ltd. is one of the most professional sensor manufactures China. Now wehave won high and good reputation from customers both at home and abroad with excellent products and competitive price. We special manufacture in photoelectric switch, proximity switch, solid state relay, switchpowersupply, magnetic relay, timer relay, counter, istrument & meter, all of our product ha-ve already approved CE certificate. We always believe in that the enterprise could keep leading position in themarket as long aswe are seeking our object. With this spirit, we always try best to satisfactory our customers toenlarge markets. We always believe in that the quality is the soul of our enterpvise. With perfect production technology and measuring method, we make reliable and good products for many years. 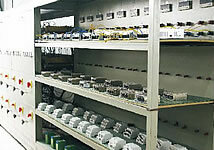 We always regard "Provide perfect service for industrialautomation" as our ideal. To achieve this ideal, we spare no effort to improve ourself to meet therequirement of our customers. We always believe in that no business is small business as well as no problem isbig problem, we would like do everything for our customers. Na dynamic and ever-changing world, we determine to march further into the intemational market, and we would like to cooperate with everyone fromall over the world accordin gtoour mutual benefit in long term.